February is Lesbian, Gay, Bi and Trans History Month, a time to celebrate the contribution that LGBT people have made throughout history and highlight the unique challenges they have faced both in the past, and still today. 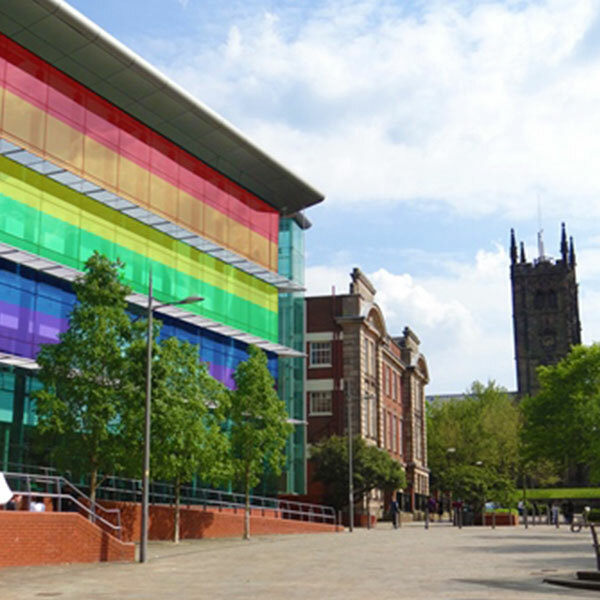 On Wednesday 20 February at 2pm in the Glasshouse Restaurant (Millennium City, MC Building) the LGBT+ Student Society will host a roundtable with the Head of Equality and Diversity to discuss what issues LGBT students face on campus. If you cannot attend the roundtable you can send feedback to the University by emailing equality@wlv.ac.uk. All feedback provided will be kept confidential, and used to enhance the University experience for LGBT students and staff. On Thursday 6 February at 6:30pm we will be taking a University team to the Wolverhampton LGBT+ Alliance’s LGBT History Month Pub Quiz at the Prince Albert on Railway Street. To express you interest in being part of the team, please email equality@wlv.ac.uk.